At International Medical Group® (IMG®), we understand the unique needs of marine crew professionals. For more than 25 years, we have provided specialized insurance programs for captains, officers, and crew members. We created an entire marine division to better serve those in this important business segment. Over time, we have earned a reputation for excellence by offering quality, dependable medical insurance programs to marine professionals like you, and many have found a partner in IMG that they can rely on and trust to service the worldwide needs of their members. Recognizing the mobile lifestyle of those within this community, IMG developed International Marine Medical InsuranceSM (IMMI). This program offers continuous comprehensive medical coverage to groups of three or more marine crew professionals who live and work aboard oceangoing vessels. Groups may elect a variety of options including deductibles and areas of coverage to tailor a plan that best fits their needs. Our comprehensive approach also allows for the inclusion of dependents. IMMI helps alleviate some concerns of ship owners with the additional liabilities imposed on them because of the Maritime Labour Convention. It is rare to find a company that offers flexible, specialized products and services for the marine industry. The IMMI program, coupled with our expertise in marine claims, medical management and international services, will help you and your members properly prepare for any sudden injury or illness that can occur while on assignment. The key to successfully managing rising health care costs is early identification of catastrophic cases, and then taking action to manage those cases. Precertification is used as a key tool for this early identification of a patient’s entry into the health care system. This allows our medical staff to be proactive in working with both the patient and the providers assuring delivery of health care in the most appropriate and cost-effective manner. If your members have received a hospital bill, there is a reasonable bet that they have been overcharged. As reported in the Wall Street Journal, Weekend Investor, 80% of all hospital bills contain errors (February, 2011). Most claim administrators have invested significant amounts of money incorporating claims auditing software in the claims system. IMG takes the claim review process one step further by examining the details behind documents submitted by the medical provider. Our auditors review all medical records to assure that all the services billed were actually delivered and delivered in the quantities billed. Our goal is to assure that your members only pay for the services that were actually received by the patient. 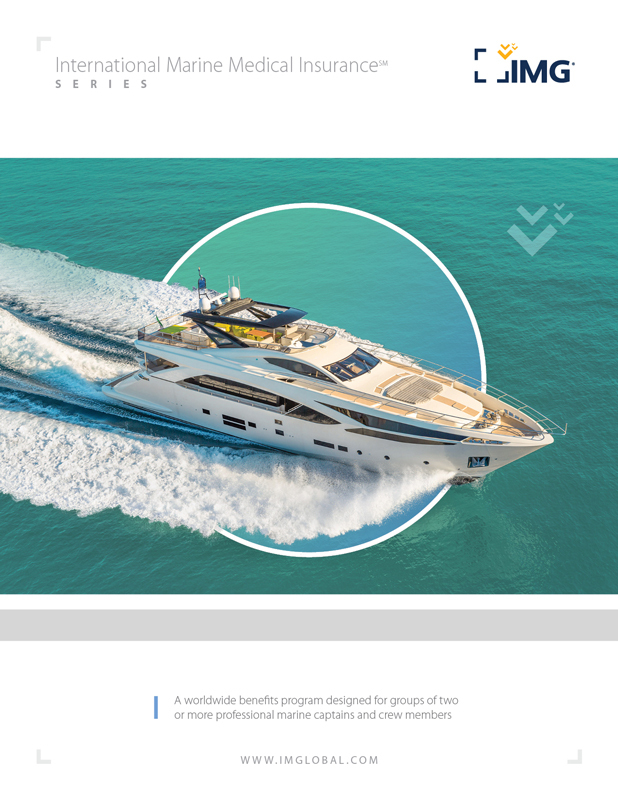 In addition to our standard plan, IMG has developed an IMMI Platinum plan that offers enhanced benefits and superior protection for marine crew professionals.